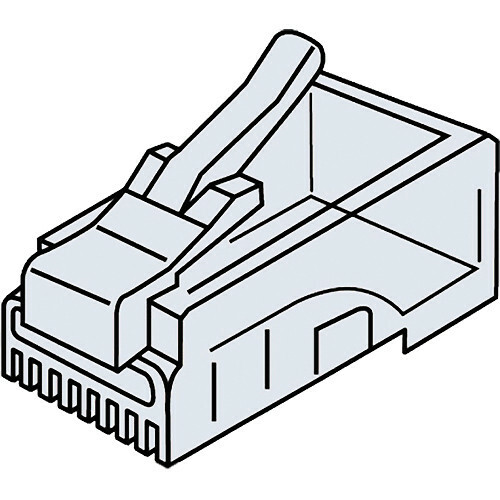 The Platinum Tools CAT5e RJ45-8P8C Modular Connector is a traditional crimp WE/SS-style modular plug used for terminating cables in both telephone and data applications. The connector comes with a 3-prong design that ensures a reliable connection with solid-type cables. It's designed to wrap tightly in the back with cables featuring a round design. Furthermore, you will receive 500 connectors in a bag. Box Dimensions (LxWxH) 10.4 x 8.8 x 1.6"